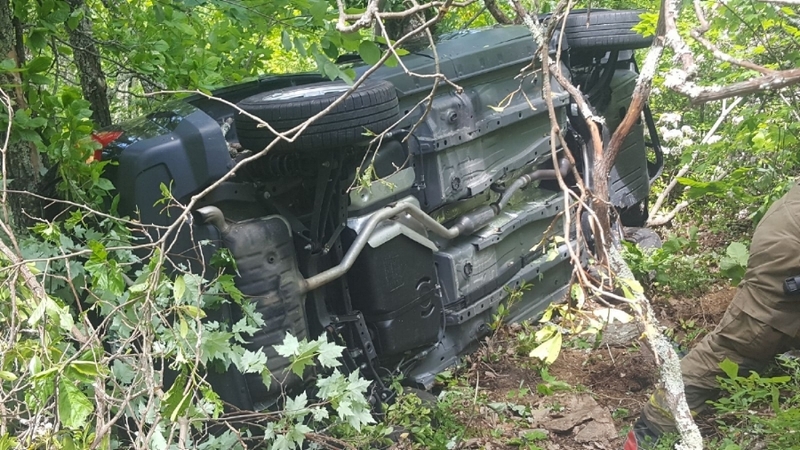 Wintergreen Fire Department and Wintergreen Rescue Squad were dispatched to a motor vehicle crash on the Blue Ridge Parkway at milepost 22 for a vehicle that had went off the road over an embankment. Units arrived on location to find a vehicle on its side over embankment about 40-50 feet with all patients out of the vehicle. Units on scene were Engine 1, Squad 1, Medic 151, Montebello, US Forest Service, VSP, and Stoney Creek Auto.